Rose Scented Bee Balm (monarda didyma) - Rose Scented Bee Balm (Bergamot). 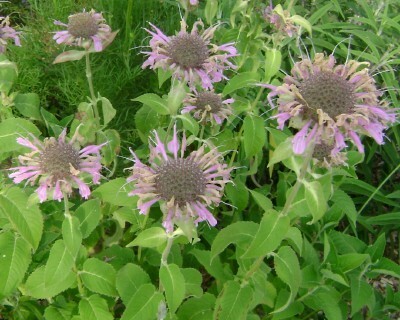 Leaves of this unusual variety of bee balm have a wonderful rose scent. Makes an excellent dried material for use in potpourri, etc. Very large lavender colored flower heads when in bloom attract hummingbirds and bees to the garden. Bergamot is traditionally a tea herb, flowers and young leaf buds can also be eaten or used as a culinary garnish. Perennial zones 4-10. Live starter plant in 3 inch container.